1943 John Deere Model B "Styled" Tractor. In 1939 the Model B was redesigned by Henry Dreyfuss. Grills were added in front of the radiator and the sheet metal became "styled". Electric starting and lights became available as an option. In 1941 the engine was changed again slightly, and the transmission was modified to include six forward speeds. Maximum engine power output was 24.6 h.p. at the draw-bar and 27.6 h.p. at the pully. 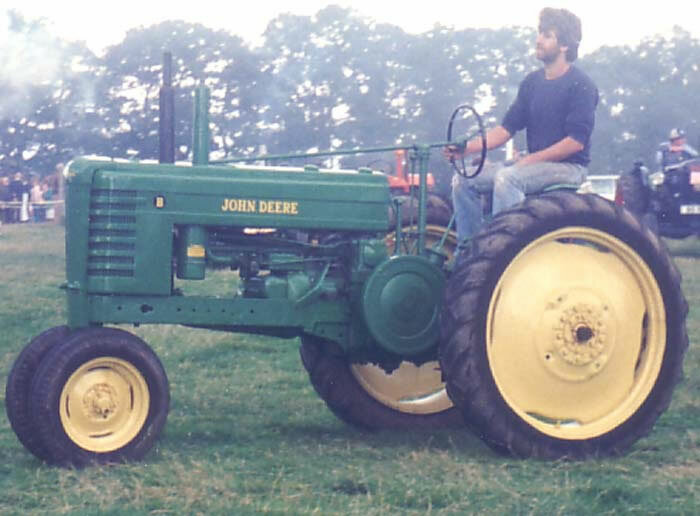 About 140,000 of the "Early Styled" Model B tractors were built.